Updates to Denise D.'s profile since your last visit are highlighted in yellow. Been married and divorced a few times. Worked for a construction company in Albany for 18 years, worked at Charlotte Airport. Now retired and loving every minute of it. We go camping for a month to Florida in our camper every year. Denise D. Miller Bardwell posted a message. New comment added. 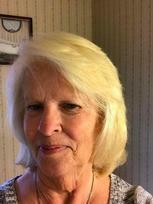 Denise D. Miller Bardwell updated profile. View. Denise D. Miller Bardwell posted a message. my email address is poolshark618db@gmail.com. Looking forward to hearing from you. You look the same as you did in high school. Looking forward to seeing you and Tim at our 50th in 2019.